Funeral services for Margaret Marie Shetterly will be held at 11:00 a.m. on Tuesday, March 26, 2019, at Trinity Lutheran Church in Leesville with Reverend Joshua Leigeber officiating. Burial will follow in the Alexandria National Cemetery, 209 E. Shamrock St. Pineville, LA, under the direction of Jeane’s Funeral Service. A visitation time for the family and friends of Mrs. Shetterly will be held from 10:00 a.m. until the time of service at the church on Tuesday. Mrs. Shetterly was born on June 9, 1933, in Allegany, NY and passed away on March 22, 2019, in Leesville, LA at the age of 85. For 32 years, she was married to her husband, George, and was a devoted military wife. Mrs. Shetterly enjoyed being an Elvis fan, knitting, traveling, and collecting porcelain dolls. For a while, she worked as a cook in a nursing home. Mrs. Shetterly was a member of St. John’s Lutheran Church in New York before moving to Leesville where she became a member of Trinity Lutheran Church. She will be remembered for her kind heart and vibrant personality. 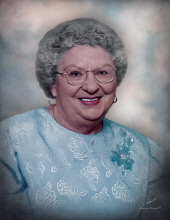 Mrs. Shetterly was preceded in death by her husband, George William Shetterly; parents, Earl Max Ratzel and Nina Ratzel; grandsons, David Shetterly Jr. and Chandler Shetterly; sister, Elenor Dutton; brother, Charles Ratzel; and sons-in-law, Patrick “Pat” Riesdorph, David Arthur Showers, and John Marshall Collins. twenty-one grandchildren, twenty great-grandchildren, and one great-great grandchild. Words of comfort and remembrances of Mrs. Shetterly may be left at www.jeanesfs.com. To send flowers or a remembrance gift to the family of Margaret Marie Shetterly, please visit our Tribute Store. "Email Address" would like to share the life celebration of Margaret Marie Shetterly. Click on the "link" to go to share a favorite memory or leave a condolence message for the family.